Players attempt a set of challenging rhythms. The best sight-readers still make mistakes but can easily recover. Stop the evil notes from reaching the edge. An eternal struggle for musicians is sight-reading never before-seen music; the best way to improve is always focused practice, but for some, finding places to practice your large or loud instrument is tough. 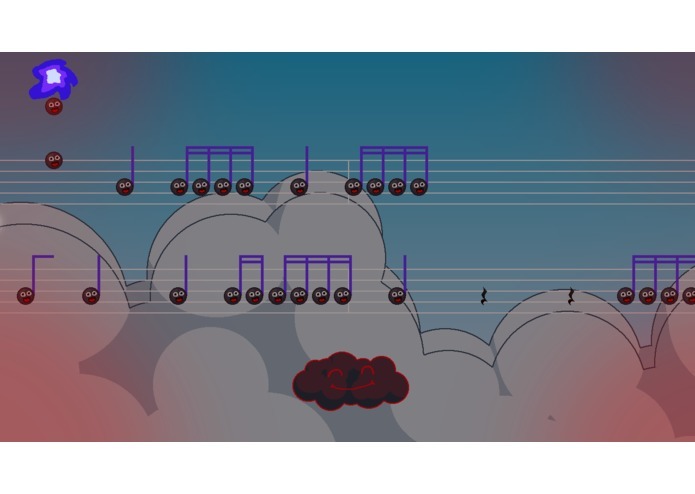 We present "Duet", the sight-reading game for musicians. 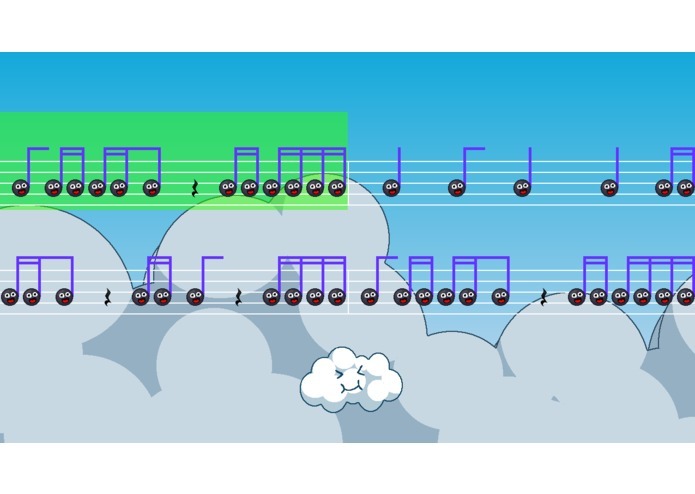 Our game focuses on practicing rhythm reading, a skill universal to any instrument. The musician must practice lookahead to hit all the notes at the right time. Line switches can be challenging to nail due to the distance between notes on the page. This is something our game supports. Since you can only sight-read a piece once, we stream in levels from a simple procedural algorithm. This prevents the need for updates or DLC level packs. You now must work against gravity to stop the evil notes from reaching the edge. 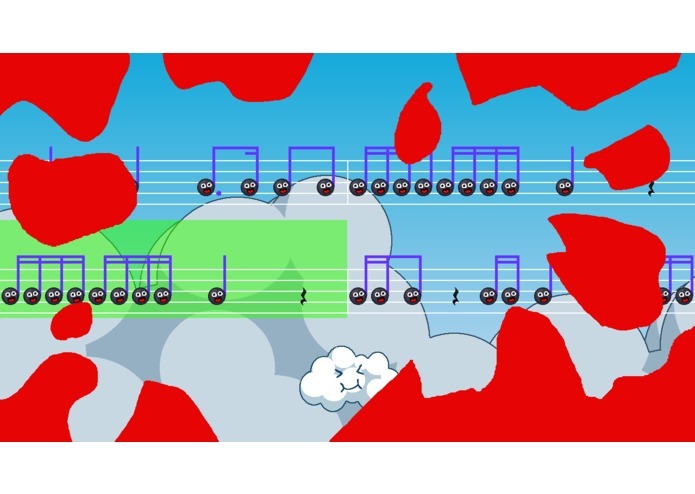 This non-linear component puts a challenging twist on the sight-reading gameplay. After some time in this mode, the level returns to normal and is finished off.